The Axial WLS Pro Disc bridges the gap between performance racer and comfortable, long distance tourer. Thanks to our WLS geometry it offers a relaxed, efficient ride position. We've selected a precise, reliable Shimano Sora transmission and, for 2017, added disc brakes for powerful, reliable stopping in all weather conditions. This bike gives the keen, aspiring racer everything she could need to experience the best that performance riding on narrow tyres has to offer. Features: The proven Shimano Sora groupset with a compact crank (34/50) and 11-32 cassette delivers perfect shifts with a huge gear range, giving maximum versatility in any situation from relaxed touring to pushing your limits in the middle of a bunch sprint. TRP disc brakes provide safe braking in all conditions, no matter what the weather. 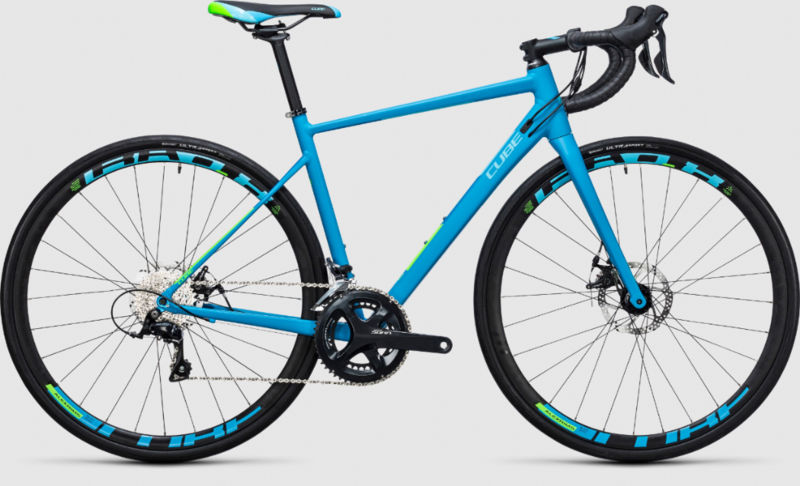 CUBE-built wheels - using DT Swiss spokes and CUBE rims - shod with Continental Grand Sport Race tyres complement the Axial WLS Pro Disc's sporty, long-distance character.